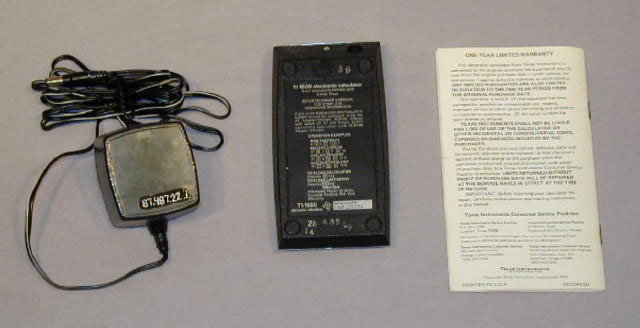 The item is a production model of the TI-1500 electronic calculator with AC9140 AC Adapter Charger. The date of manufacture is not known. 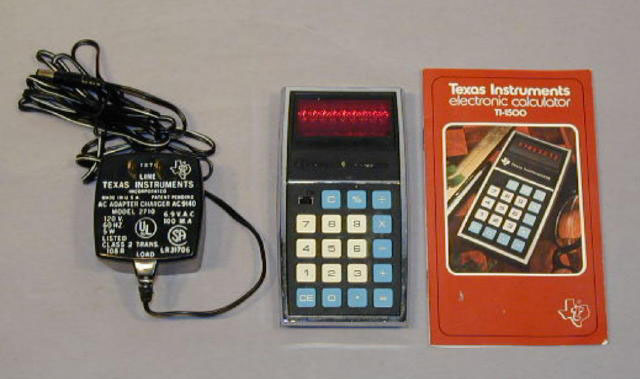 The calculator IC is TMS0803, date code 7517-1. The display is LED.